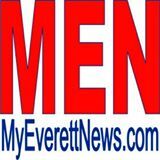 When the Port of Everett agreed to allow the market on the Port property, things began to really jump forward. To begin with, the parking lot was unpaved, and there was no water for flower vendors or electricity for cooking or music amplification. Feet were still wet, hauling water and cooking was a problem, but the Market had a great view and the possibility of becoming a DESTINATION. Since those early days, the Port of Everett has paved the lot, added electricity, added access to fresh water, and even added 220 volt electricity all to help make the market a success. The Port Staff has worked with the Market Managers and the market’s neighbors to allow everyone to share parking and facilities in a way that lets everyone be successful. The Port Commissioners have been able to directly contribute to the quality of life of the Everett community by encouraging and enhancing the Everett Farmers Market. The Everett Farmers Market is strongly supported by Lombardi’s Restaurant to the south, and Scuttlebutt’s Brewery, in spite of the extra attention required of them by Sunday market activity. Inger and Tone Hutton became the Market Masters June 2002. They loved being part of the market. During their tenure they increased the variety and quality of produce and products being offered. Added to the Market over Music and Entertainment, a picnic area near the Ready-to-Eat vendors, a Market Information booth, and produce vouchers for qualifying Women-with-small-children WIC/Senior FMNP. In January 2012 Karen Erickson and Gary Purves became the new Market Masters. In 2013 they are looking forward to a very exciting 20th Anniversary Season, with several new and continuing Vendors from years past. As a community market, the Everett Farmers Market offers a token program for EBT, plus Debit/Credit card swiping for convince for those who may be short of cash, but would still like to shop. The WSU Master Gardeners are also on hand to discuss questions/concerns about growing plants and how to deal with pests safely in the garden.